House of Woyaks: Y'all Ready for This? You know you SO wanna pump up the jams. Pump it up! Pump it up! LOL I know, I should stop now. Except, I am now dancing to "Can't Touch This"
Tomorrow is the day. 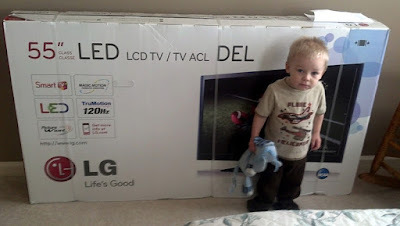 The day that our brand-spankin new TV gets installed. So, really....those two little pairs of dirty fingers CANT TOUCH THIS! Even though I will be thrilled to have a tv on the wall instead of blocking part of my window, I will miss my pretty mantle I, like, just did...and had to take down. Stay up-to-date with the House on Facebook!